After yesterday being so unexpected, things have calmed slightly this morning. I’m still in the top-100 books on Kindle but, from the last two days, I’m coming to the conclusion that crime books sell more in the evenings than they do in the mornings. I do have my “2 days in the top-100” tag though. 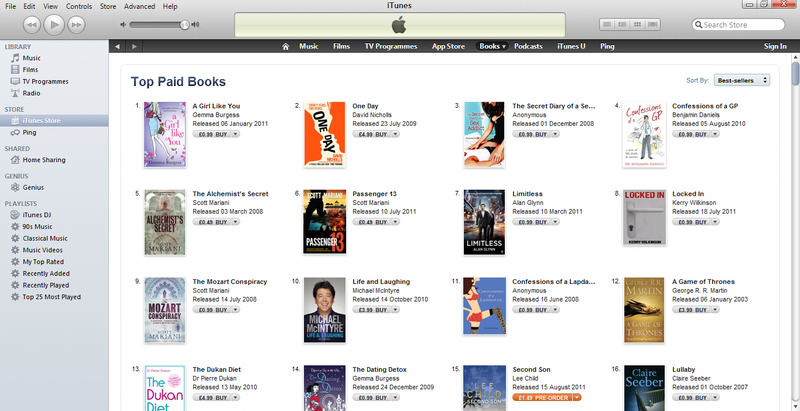 Over on iTunes, I am now at No.8 overall and No.4 in the crime chart. Again, thank you to everyone who is buying. I’ve had a few nice notes from people which is very pleasing. I just hope people enjoy what they read. This morning I completed what is probably the fourth or fifth full draft of Vigilante. It’s getting to the point where I’m pretty satisfied with it now. The Woman In Black is only really on the second draft and still needs some work. For people interested, I do have rumblings for a potential fourth in the series but, for now, I’m keeping the title and plot to myself.